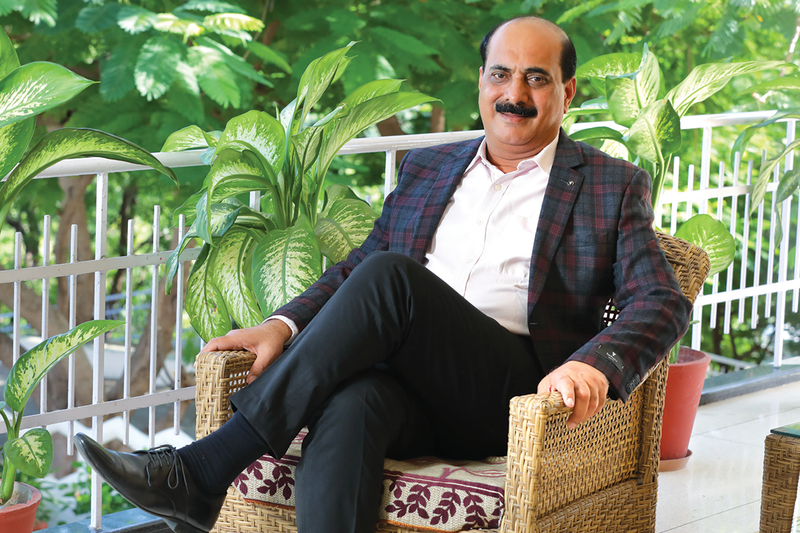 CEO Sunil Duggal is seeing Hindustan Zinc grow by every conceivable metric, and it’s become one of the world’s most forward-thinking mining companies. Though we might not think about zinc all that often during our day-to-day lives, it’s fair to say that without it, society as we know it wouldn’t be the same. Its most common usage – manufacturing galvanised steel – is essential in ensuring durable construction, and zinc is similarly necessary in creating brass, certain household components and skincare products. Lead and silver are equally important metals, the latter being not just a common metal used in jewellery, but an integral element in electronics. India is one of the world’s leading producers of zinc, and this output comes almost entirely from a single company – Hindustan Zinc. As the only one of its kind in India, Hindustan Zinc has established a solid position in the global mining sector, and has contributed enormously to the national industry. For example, zinc production in India has risen considerably since 2006, with the country beating other major producers to become the sixth largest in 2014, when it didn’t even account for 5% of global zinc production in 2006. 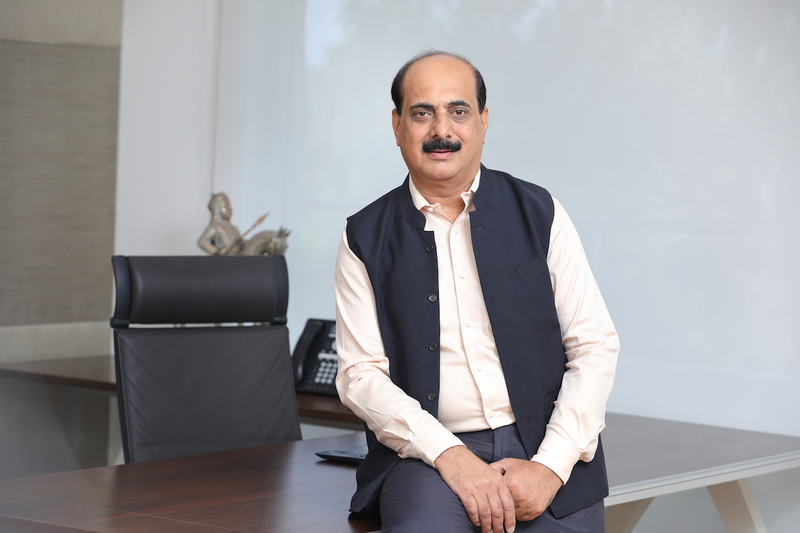 CEO Sunil Duggal wants Hindustan Zinc’s capacity for domestic contributions to expand, as the company itself continues to grow. “We are an important company for India, because we’re the only producer of zinc, lead and silver in the country,” says Sunil. In an opinion piece written for The Asian Age, Sunil warned that without development of the mining sector, India’s GDP won’t exceed 7% growth. 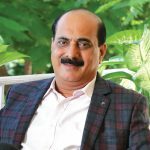 He expects global mineral demands to increase many times over within the near future, and without the easing of government regulations, Sunil believes India’s mining sector won’t be able to contribute its full potential to the domestic economy. 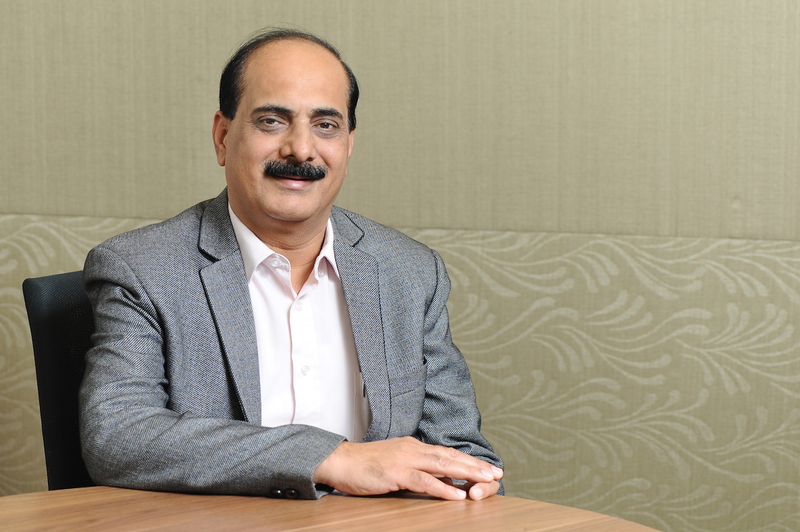 Though the past decade has seen the local industry create only 1.2% of the GDP, Sunil says the sector hopes to expand this contribution to seven or 8%. This, he believes, would boost the GDP to as much as 9% growth. Most importantly, with India’s youth unemployment staying at a level considerably more than 10%, the increase would see an additional 25 million jobs for the Indian job market. While Sunil still hopes to see India’s mining sector expand and play a greater part in the domestic economic growth, Hindustan Zinc itself has a strong position in the global industry. It’s not only the sole producer of zinc, lead and silver in India, but the second largest integrated zinc producer in the world, despite countries such as China and Australia contributing more to the global zinc supply than India. “Since there isn’t any competition at a domestic level, we don’t view ourselves at that level,” says Sunil. “We consider ourselves to be a global player, because that’s where our competition is. We compete through our emphasis on productivity and efficiency. Cost management is our big advantage – we’re in the lowest decile of the global cost cloud. Indeed, Hindustan Zinc’s commitment to innovation and forward-thinking was what first drew Sunil to the company. Before that, he hadn’t yet dipped his toe into mining, having spent his career as a cement technologist. Sunil worked with Ambuja Cement (which was eventually acquired by LafargeHolcim) for 20 years, and got his first taste of leadership early on when he was made unit head at one of Ambuja’s plants. Over the course of his time with the company, he served in leadership roles across various divisions from which he gained a broad understanding of business management. It was that diverse, long-term experience that earned him the role of CEO with Hindustan Zinc in late 2015. “I wasn’t particularly excited to leave the cement industry as such, but the desire to deal with something different at that point in my career – that’s what excited me. The 21st century has seen Hindustan Zinc undergo enormous change. Though the company’s history goes back to 1966, when it was founded as a state-owned public sector undertaking (PSU), the company was sold by the Indian government in 2002, and this arguably represented the beginning of a new era for the mining company. Under its new owner, Vedanta Resources, Hindustan Zinc enacted new plans and strategies that promised to dramatically ramp up productivity in the years to come. In the years since government disinvestment, Hindustan Zinc has invested more than US$3 billion towards expansion. This has seen the company reach an annual production capacity of a million tonnes of metal, though Hindustan Zinc has ambitious plans to upscale this dramatically – 1.2 million tonnes of metal will be produced by 2020, expanding to 1.5 million within the next five years. This will be achieved through the commission of new mines and mills across Hindustan Zinc’s operations. Two additional shafts will be installed at the Rampura Agucha and Sindesar Khurd mines, two of the company’s largest mines, while two new mills will provide an additional three million tonnes of per-annum ore treatment capacity. This will see an increase to 10 million between the two mines, and across the entirety of Hindustan Zinc’s operations, up to 17.7 million. These expansions also include three environmentally friendly plants to improve metal recovery (particularly of lead and silver) from waste. In homage to Sunil’s erstwhile career, these fumer plants will produce pyrometallurgical slag, a useful material for cement making. One of the fumer plants, as well as the new shafts and mines, are scheduled to begin operation in the 2019 financial year. Silver is expected to play an even greater role in Hindustan Zinc’s future as the mines grow in size and capacity. As Sunil has noted, the company’s silver production has increased more than 10 times since 2002. There are no plans to ease off either, with an aim to nearly double silver production within the next two years, and even triple it in the years following. This translates into an ambition to become the second largest worldwide producer of silver. Hindustan Zinc is able to easily enjoy greater profitability from its silver production, thanks to the fact that silver is often found in galena, which is also one of the most important sources of lead. Since silver and lead are produced through the same ore treatment process, the cost of production for silver is relatively low, and thus provides an important boost to Hindustan Zinc’s bottom line. The company is confident enough in the growing importance of silver to its revenue that Sunil has labelled the precious metal “a new vertical”. 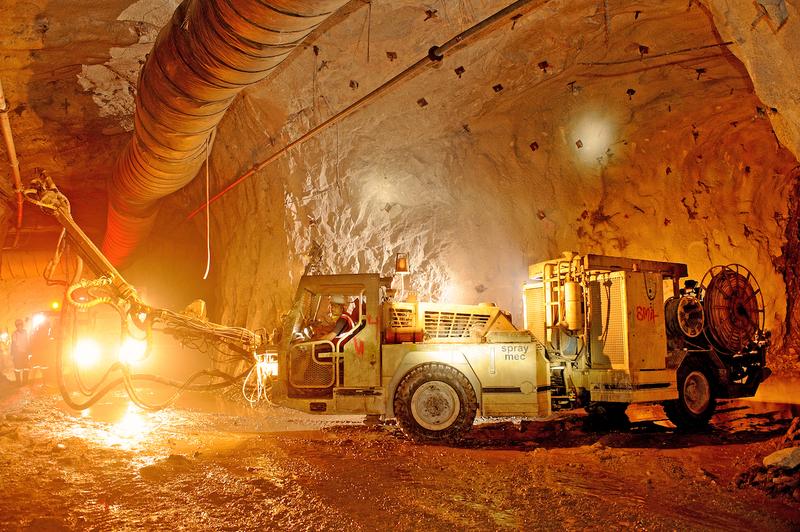 Another transformation has seen Hindustan Zinc embrace underground mining, as opposed to open-pit mining, which previously comprised 80% of the company’s operations. The move, completed only recently, saw the company transition entirely to underground mining, which Sunil declares a rare success story. It will permit far greater access to hard-to-reach deposits; the TauTona mine in South Africa, the world’s deepest, goes down nearly four kilometres. It’ll also minimise disturbance of topsoil and vegetation, though these are often replaced or relocated safely during open-pit mining. Despite these countless expansions and changes, Hindustan Zinc expects its mines to last another 25 years, with more than 400 million metric tonnes of reserves and resources. The company is continuing to undertake exploration, seeking out further resources to replace what it extracts. Today, the company boasts a revenue of INR22,084 crore (US$3.02 billion), while holding 85% of India’s zinc market and 100% of the silver market, and as the country’s sole producer of sulfuric acid and cadmium, Hindustan Zinc’s future is assured. “The company has grown from what it was between 2002 and 2010, and it has continued to grow ever since,” Sunil says, proudly. “From the start, I was excited about joining Hindustan Zinc, because they were risk-taking, aggressive, hard and respectful people. Mining is one of the world’s most longstanding industries – one of the oldest mines ever found, located in modern-day Swaziland, goes back 43,000 years, while Hindustan Zinc’s own site at Zawar bears evidence of mining two and a half millennia ago. Nevertheless, the nature of mining is constantly shifting, thanks to technological revolution. It may be hard to dispel the image of grime-streaked workers and canaries in coal mines, but Hindustan Zinc’s sites are being revolutionised by innovations like AR, automation and mechanisation. 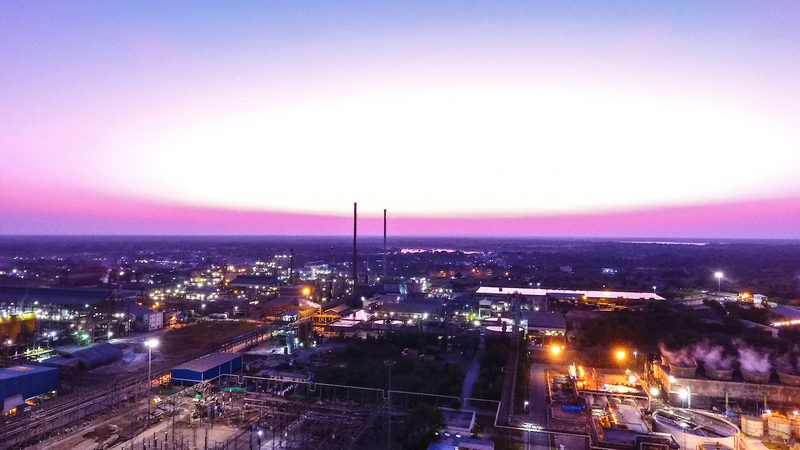 The Fourth Industrial Revolution hasn’t passed by any industry, mining included, and Sunil is ensuring Hindustan Zinc’s mines benefit from smart, connected technology. Advances such as real-time monitoring, 3D modelling, and advanced analytics are being implemented within the company’s mines, resulting in a company that has maximised the value of its operations, by furthering the efficiency, speed and safety of its processes. Many of these are driven by necessity; with the shift to underground mining, Hindustan Zinc’s sites are becoming more complex, and digitisation will smooth the transition. Wi-fi is being installed throughout mines, affording workers better communication with each other and with management. Administrative operations, meanwhile, have been automated and digitised; many mines have a central control room where operations can be remotely monitored, down to the micro level, registering accurate measurements of metal and waste production. At Zawar mines, production capacity is being improved through mechanisation and trackless mining. Another important addition to Hindustan Zinc’s sites are well-monitored refuge chambers, intended to provide a safe area for 16 workers. These rooms are equipped with medical supplies, water, and air-conditioning and can hold workers for 36 hours in the event of any serious incident. Along with automation and improved communication, these sorts of innovations provide a vastly safer environment for mine workers; it is, after all, an industry that has historically been risky in which to work. Many of these strides forward are provided by Hindustan Zinc’s central R&D laboratory, established in 1976. For those 40-plus years, the department has improved operational and quality assurance processes, as well as the usual R&D innovations. It’s also facilitated partnerships with research agencies and industry experts, which in turn have helped introduce innovations across departments like mineral processing, pyrometallurgy, hydrometallurgy, and analytical services. Notable achievements include the improvement of waste utilisation, which has resulted in the fumer plants, allowing 100% use of both slag and fly-ash (a by-product of coal burning), both of which are used for cement. This efficiency and sustainability go a long way towards not just improving its environmental performance, but its financial performance too. “The greatest strength of this company will always be cost of production,” says Sunil. “Our cost of production is the lowest and the most competitive in the world. Mining equipment is another area in which the company is staying at the cutting edge. Many of Hindustan Zinc’s vehicles, drills and carriers are now highly sophisticated, with features like remote operation and smooth motion which eliminate the risk of structural damage to the mine. Sunil credits long-lasting supplier partnerships, including companies like Caterpillar, for their part in Hindustan Zinc’s ability to remain innovative. “We maintain relationships with some of the best companies in the world, so we need to be aligned in terms of what they’re doing and what we’re doing,” Sunil says. Many of Hindustan Zinc’s innovative measures go further than simply building on the company’s own capabilities. Sunil places a huge importance on sustainability, for both Hindustan Zinc and the world, since the former can’t exist without the latter. There is, for example, Hindustan Zinc’s success in reusing waste, despite conventional wisdom suggesting these by-products are unusable. Gradually, the company will move towards zero waste, achieving a total commitment to environmental friendliness. “Sustainability has many verticals,” Sunil says. “We’re focused on conservation, recovery improvement and zero waste emission. A total reduction of emitted waste means you don’t have any waste dumps in your area, and it’s gainfully utilised. In terms of total value change, it not only liberates the waste, it also assists by conserving other resources for other industrial processes. “Similarly, we can work on our own energy footprint, by setting up wind farms and solar plants. All these initiatives are also important, and we have one of the largest wind power generators in the country. We’re investing in solar power in a bigger way. At present, Hindustan Zinc produces almost 500 megawatts of coal-based captive power, and over 300 megawatts of green power. Most of this green power is generated through wind with a small amount of waste heat recovery. As Sunil mentions, solar power is a focus area for the mining company, and there are 115 megawatts worth of solar power plants planned within the near future, as the company approaches complete sustainability. Even with these developments yet to be implemented, Hindustan Zinc’s green credentials are impressive; it’s the largest producer of wind energy in the country, and its head office runs entirely on solar power. The company’s achievements in this area saw it ranked first in the global mining and metals industry – up from third – by the Dow Jones Sustainability Index last year. This translates into fifth overall, up from 11th, out of all companies across the world. Hindustan Zinc has undertaken numerous socially and environmentally conscious initiatives. Ten years ago, it carried out its first aerial survey, drawing hundreds of spectators from the local area, keen to see this example of reducing harm to the environment through technology. It’s also participated in restoration and maintenance of socially and culturally significant sites, like the Ajmer Sharif Dargah, the abode of the Sufi saint Khwaja Moinuddin Chishti around the 13th century. Perhaps one of the most important initiatives Hindustan Zinc has undertaken for the community was its part in constructing the first sewage treatment plant in the city of Udaipur. The ‘City of Lakes’ has a population of nearly half a million, creating 70 million litres of sewage a day. Before the plants were installed, there were 139 sewage drains that flowed into the district’s Ayad River, which forms a lifeline for the tourist city, sometimes called the ‘Venice of the East’. There was no organised sewage system or treatment facility, and water pollution levels threatened ecological degradation. Udaipur’s water quality ranked poorly against other Indian cities, and the inadequacy of water treatment threatened public health, with sources of drinking water rendered unusable. In response, Hindustan Zinc joined the government in a public-private partnership, and Udaipur’s new sewage treatment plant was completed in record time of just 14 months. At first, the plant was capable of treating 20 million litres a day, but this was expanded to 60 million, with the aim of treating Udaipur’s exceeding daily sewage output. A considerable amount of this processed water has gone towards industrial purposes, eliminating the need to use fresh water from dams. But the greatest benefit was arguably provided to the community. Hindustan Zinc’s dedication to the wider community has informed many more programs, beyond sustainability and environmentalism. In line with Sunil’s ambition to contribute to India’s economic growth, Hindustan Zinc assists the development of 500,000 people in 184 rural and tribal communities across Rajasthan. The company describes it as an effort to “build a life of dignity for the rural poor”. Educational initiatives include Project Sakhi, which empowers women in these regions socially and economically, while other programs bring new training and skills to agricultural communities. Crucially, the company uses its industry expertise to educate and train youths in the qualifications necessary for the mining industry. Hindustan Zinc Mining Academy trains rural youths, improving their employability while also addressing the shortage of skilled workers. Thus far, the Academy has trained over 200 youths in drill operations, serving as the only one of its kind in India. “The skilled development of the youth is important,” Sunil asserts. “We’re helping to make them employable because today’s quality of training is limited. India isn’t producing employable youths. We run some skill development in which people learn to work with their own hands. We help produce quality employable people. We ensure that people find employment, for example, in Maruti, Honda, in malls as security guards, in automobile repair or as technicians. Meanwhile, the company provides scholarships for financially disadvantaged engineering students, and provides study materials, supplies, and infrastructure for teachers. Simultaneously, Hindustan Zinc is focusing its efforts on even younger groups, providing essential equipment and provisions for thousands of new and existing early childhood centres across India. These comprehensive programs for young children include nutrition, a critical issue in many parts of India. “One third of children in India are unfortunately malnourished,” Sunil explains. “It’s the largest proportion of malnourished children in the world. A study by UNICEF suggested these children have a huge deficiency of zinc. They aren’t getting organic zinc because there’s no zinc in the soil. They all have zinc deficiency as a result, leading to stunted growth, memory loss, and so on. Rather than limiting itself to one or two avenues of childhood development, Hindustan Zinc has taken a holistic approach to the cause. Not content with just education and nutrition, Sunil launched a one-of-a-kind football academy just last year. Project ‘Zinc Football’ is an academy providing professional coaching to rural children in Rajasthan between the ages of five and 12. The state-of-the-art facility near Udaipur welcomed 30 children in its first round, with a view to build on the skills of 10,000 children within Rajasthan. It’s more than just a means of encouraging physical activity; Zinc Football aims to contribute to India’s skills in the sport, making the country a serious contender on the global stage. Perhaps one of the greatest issues facing Indian society is road safety, which Hindustan Zinc has committed to address. As of October 2018, India was way behind its road safety targets for 2020, despite the government having signed a declaration in 2015 to dramatically reduce fatalities. Nearly 150,000 people died in traffic incidents in 2017, and though this does represent a proportional decline, it’s nowhere near enough. Studies have found that human error is often the cause, whether that’s intoxication, tiredness or speeding. But environmental factors are often just as complicit, thanks to inadequacy of road and vehicle conditions, visibility and road design. With 3% of India’s GDP lost each year due to these preventable accidents, Hindustan Zinc aims to address this issue by educating its employees through the project ‘Be Safe Zindagi’. Along with live informal employee interaction, this message of safety has reached a huge radio audience across Rajasthan. Safety is, after all, one of the most important values within Hindustan Zinc, as evidenced by its safety education initiatives, and the technological innovations that have resulted in a safer workplace for employees. As well as the industrial safety and road safety education, Hindustan Zinc has enacted practical measures, such as constantly monitoring workers, performing regular drills, and frequent analysis of its capacity to handle dangerous situations. This all goes towards creating a worker-friendly environment, providing the team with the confidence to work for Hindustan Zinc. The emphasis on employee safety can be credited to Sunil’s own style of leadership. Sunil defines the CEO’s approach with three core concepts: transparency, commitment to quality and integrity, and a belief that a safe environment is paramount over the company’s volumes. Sunil’s attitude has in turn helped foster an open and communicative environment, and his vision has become entrenched in the company’s culture. Sunil’s attitude of openness and communication extends to the way he deals with Hindustan Zinc’s partners. These include global suppliers like Epiroc, Sandvik and Gainwell, who provide high-end, heavy-duty industrial equipment and sophisticated, state-of-the-art solutions for the mining industry. Sunil maintains close contact with these partners, in aid of a productive, respectful relationship. Hindustan Zinc maintains a highly integrated supply chain, which goes beyond the basic purchase–supply relationship. The costs and maintenance of equipment is managed by both parties in balance, meaning Hindustan Zinc and its partners enjoy an interconnected, reliable, collaborative relationship. As well as collaborating with suppliers, Hindustan Zinc has opened use of its workshops to other companies. This is beneficial to both parties – Hindustan Zinc has access to the skills and expertise of the companies who use its workshops, while these companies enjoy Hindustan Zinc’s sophisticated, state-of-the-art facilities. In fact, collaboration is one of the company’s greatest strengths, and defines the way it does business. “We create a situation where we want to achieve some outcome, and based on that outcome, we may want to try a risky partnership,” says Sunil. “Once we enter into that partnership, and the partner tries to drive and support it, then we as partners jointly try to achieve something from it. The company’s education, sustainability and economic initiatives demonstrate a similar willingness to collaborate for mutual benefit. Given that India’s automobiles, railways and construction sectors are particularly vulnerable to steel corrosion, especially in coastal areas, Sunil is a fervent promoter of galvanisation. The anti-corrosion measure is underused in India, so Hindustan Zinc has undertaken endeavours like encouraging galvanisation of train tracks, car bodies, infrastructural rebars and electrical distribution network. Even without its extensive social support initiatives, Hindustan Zinc would be a powerful force for change in India, purely thanks to its production. For those seeking to use cadmium or sulfuric acid for industrial or scientific purposes, Hindustan Zinc is the sole provider in India, and it goes without saying the company’s three core materials are equally invaluable to the national economy. “You can imagine the kind of growth this company has, the kind of vision it has,” Sunil says. “It’s not just a financial vision. It’s also a social vision. It’s about directly contributing to both the social economy and the financial economy of India. “Hindustan Zinc has given self-sufficiency to India, and that’s significant. Today, the country can invest in galvanisation, because it has cost-efficient zinc available in India. Today, the country can expand in the automotive sector because there’s enough lead in this country to construct vehicle batteries. Rampura Agucha’s deposits were first discovered in 1977 by a government geologist, TC Rampuria. Hindustan Zinc commenced drilling in 1980. The open-pit mine came into existence in 1990 and reached its peak capacity of 6.15 million tonnes of ore a year in FY2011 and thereafter initiated the transition into a fully underground mine. 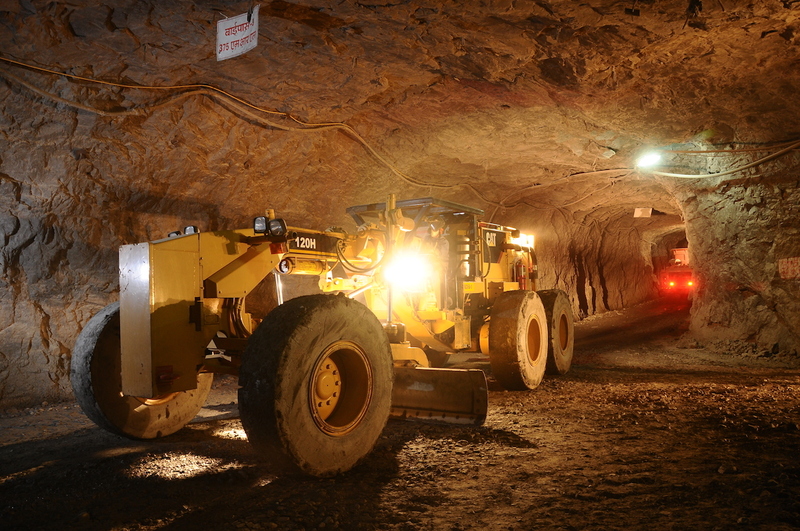 In FY2019, the mine was fully converted to an underground mine operation. It is expected to remain the world’s largest producer of zinc in 2018, a position it has held since 2008. In FY2018, 4.5 million tonnes of ore a year were produced, and this is set to increase to six million in FY2019. Having commenced operations in April 2006, this mine is notable for being highly mechanised. It’s expected to heavily to Hindustan Zinc’s silver production, thanks to its silver-rich lead–silver deposit. Located along the banks of Gomati River, Zawar incorporates four different mines, collectively producing four million tonnes of ore a year. Hindustan Zinc plans to expand this to eight million a year. Interestingly, the site bears records of ancient mining operations going back more than two millennia. The site is also an example of Hindustan Zinc’s efforts to produce renewable energy, with an 80MW thermal power plant supplying energy to the mines. Having been in operation since 1983, Rajpura Dariba Mine saw its highest ever ore production last year, outputting close to a million tonnes of ore. Hindustan Zinc plans to raise this to two million tonnes per year, and is undertaking exploration to seek out more ore. Like Zawar, energy to the mine is supplied by its own captive power plant. Operations at the small town of Kayad commenced in 2013, making it Hindustan Zinc’s newest mining site. Due to the proximity to residential areas, Hindustan Zinc has been careful to manage the environmental impact. In FY2018, Kayad produced 1.2 million tonnes of ore.
Business looks promising for Hindustan Zinc – the demand for zinc, lead and silver remains stronger than ever, and their applications are many. Zinc has numerous uses for humans. In the US, 55% of zinc is used for galvanisation (though, as noted, Sunil is working to bring that proportion up to a similar level in India). This involves covering metal (often construction steel) with a protective zinc surface, to prevent corrosion and rusting. This isn’t just aesthetic – for Sunil, it’s ultimately about safety. In India, 60% of cars have surface rust, while India’s railway network, the third-largest in the world, suffers corrosion that costs INR440 crore annually. A derailment near Kanpur in 2016, which left 146 dead and more wounded, was potentially the result of rail corrosion; as Sunil has noted, galvanisation may double the lifetime of rails. Meanwhile, 16% of zinc goes towards the production of brass and bronze alloys, which are used in various mechanical and decorative applications. Another 21% of zinc goes towards the production of other alloys. Though its toxicity has made it unsuitable for many of its previous domestic uses, lead remains an important metal in technical and scientific settings. Certain applications include protection from radiation, sheathing cables and lead weights. Perhaps the most significant contemporary use, however, is in electric car batteries. The global car market is currently about 5% electric vehicles (EVs), and this is expected to rise to 9% in just a few short years. Alternatives, like lithium-ion batteries, are still in their early days, and remain untested, with uncertain commercial viability. Lead battery technology is continually being improved, and Sunil is confident they’ll remain the best option for EVs, especially since global lithium reserves are limited. In fact, all auxiliary batteries for EVs still use lead, so its importance in sustainable transportation is not likely to fade. Hindustan Zinc’s third major metal product is silver, which, like lead, is a necessity for the future of sustainable energy. It’s an excellent conductor for solar panels, easily transferring energy from silicon cells. The global solar industry has today received US$160bn in investment, and is expected to employ 420,000 people in the US by 2020. Despite this growing solar power demand and India’s silver production, Sunil has noted the country imports all silver-based solar power systems. In fact, India produces less than 10% of its silver demands, and Sunil believes the economic future of the country requires greater investment in silver production and exploration. Though alternative materials exist for solar, silver means a longer lifespan. Though silver is still used for jewellery, silverware and currency, industrial fabrication accounts for more than half of worldwide usage. Industrial applications – satellites, lasers, robotics and telecoms – will only continue to grow. To return to solar, 40 tonnes of silver are required to produce one gigawatt of solar power. The global industrial demand for silver grew 4% from 2016 to 2017, so the future looks bright for the precious metal. How do you define a healthy corporate culture? When should you learn to compromise in business? What’s the most important lesson you’ve learned during your career?